Its near the end of the year and I decided to dig out a few sailing pictures of the year just gone. 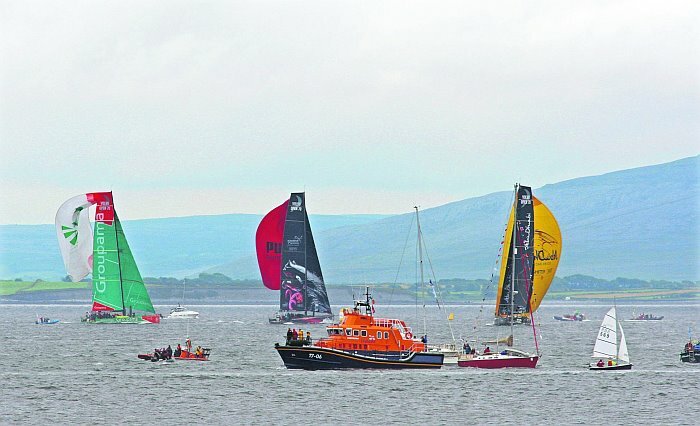 Best pic is of the Volvo Ocean Race where a couple of Galway Sailsports Club Members were spotted watching the inshore part of the race. Can you spot them? The only supporters doing any sailing! This entry was posted in Sailing and tagged Dinghy, Galway, Sailing, Seascape, Volvo Ocean Race on December 20, 2012 by admin.